Please standby while the images load !! 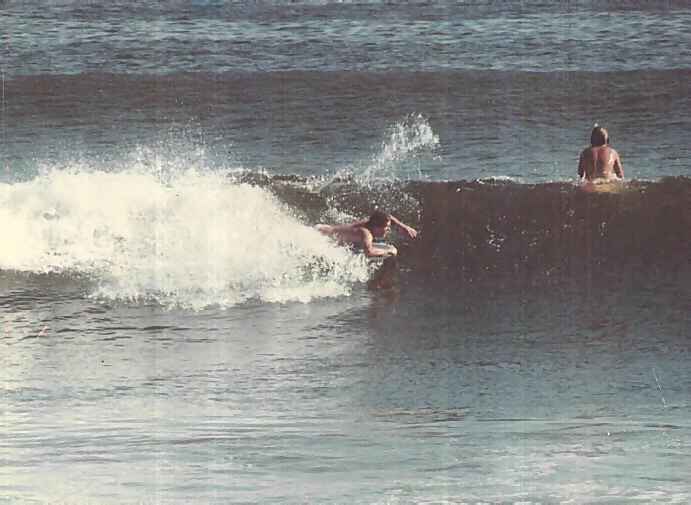 Chris Brant boogey boarding on a nice wave! Please email them to me and I'll post them! 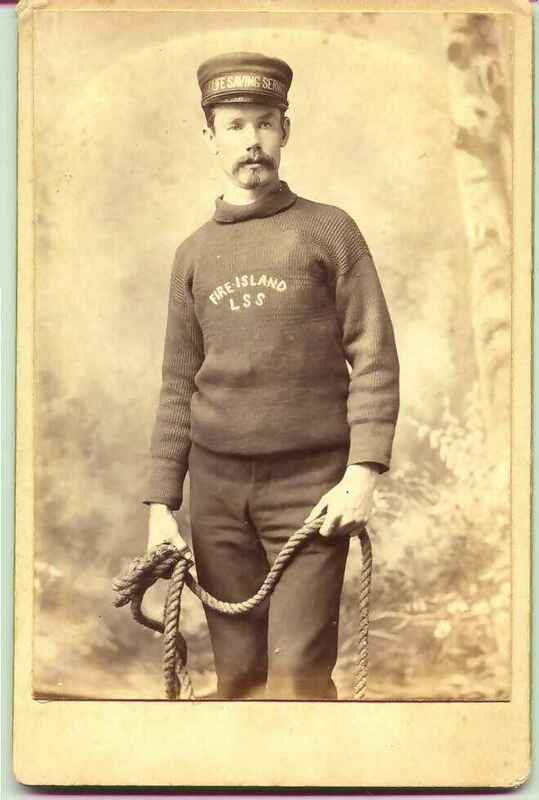 A "surfman" from the Fire Island Station of the U.S. Lifesaving Service, circa 1880. These men braved hurricanes and blizzards to save the lives of those on sailing ships that stranded on the sandbars off Long Beach and the surrounding barrier islands. The first Long Beach station opened in 1849. An engraving of the Mexico, wrecked on the eastern end of Long Beach on Jan. 2, 1837. Of 116 on board all but 8 were either drowned or frozen to death. 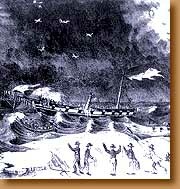 This after 80 were lost on the Bristol which wrecked near Atlantic Beach on Nov. 21, 1836. I found this photo in the Library of Congress collection. 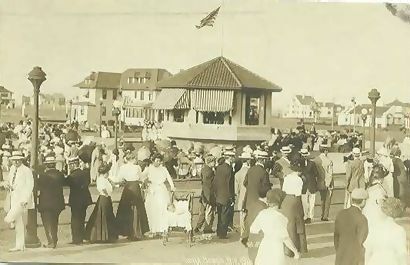 It was listed as the "Capitol Restaurant, Long Beach, NY", taken sometime between 1910 and 1950 according to them. Believed to be on Park Place, very probably part of the Minrose Bldg at left. Look at the construction, color and the window styles, they are an identical match. Another postcard I have clearly shows a restaurant in the Minrose Bldg. Can anyone provide any more information on it? 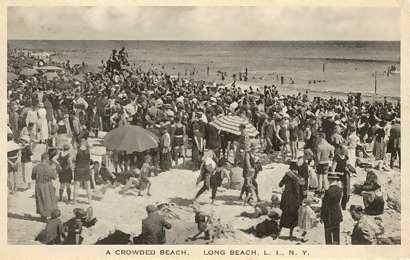 This photo was titled "Music Park 1911, Long Beach, NY". I found a similiar shot in the Library of Congress collections. I finally identified the location of this as just on the east side of the Hotel Nassau. You will see it alongside the hotel on a link off Postcards Page 3. 3 Park Place, at East Park Avenue, year unknown. Businesses included Junior's Coffee Shop at the north end (later Jack the Greek's, a shoe store at the corner and Kay's Variety Store in later years. If you know of any others let me know. The structure was known as the Minrose Building. There is a color postcard on one of my other pages of this building with some of the older business occupants listed. The Tower Baths on National Blvd. This was between the Hotel Nassau and the Castle by the Sea Theatre . Year unknown, but looks to be the 30's by the cars I think. This structure burned down sometime in 1965. 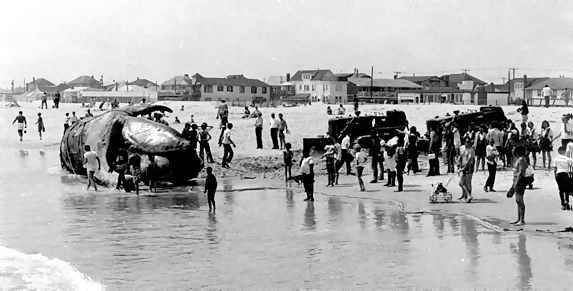 The beached whale in the West End! 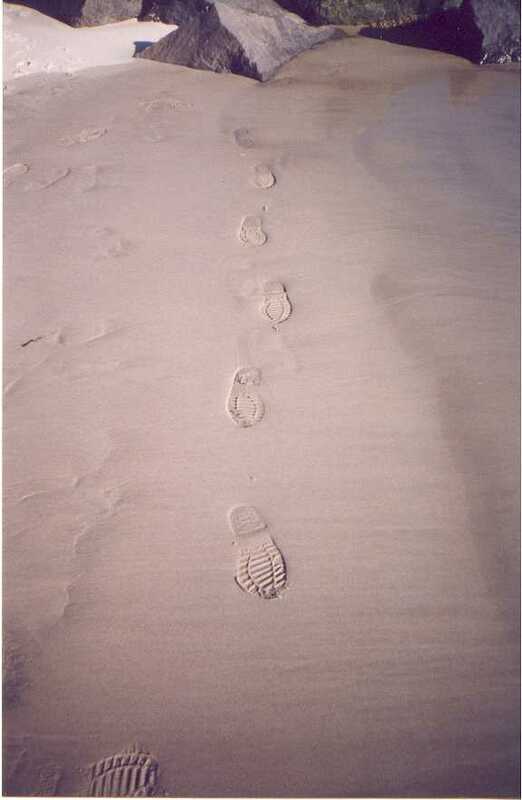 This was taken in 1972, just west of New York Ave. somewhere. Talk about something smelling fishy! 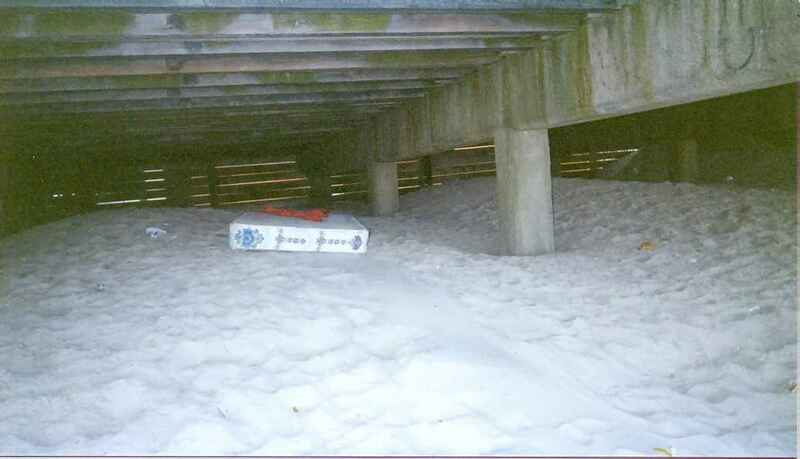 I had to title this one 'Under the Boardwalk', need I say more! 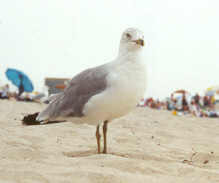 I'll Ieave the photographer anonymous so as not to be incriminating! Email me your photo scans! disappear forever in your attic! 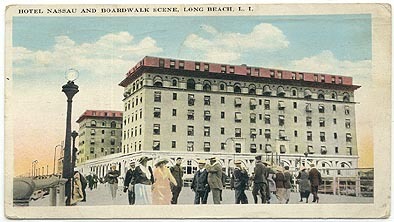 This is a colorized postcard of the Hotel Nassau, probably in the 20's. Roll your mouse over it to see how it looks today (12/2000). 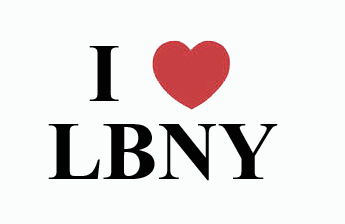 I like the old one better! 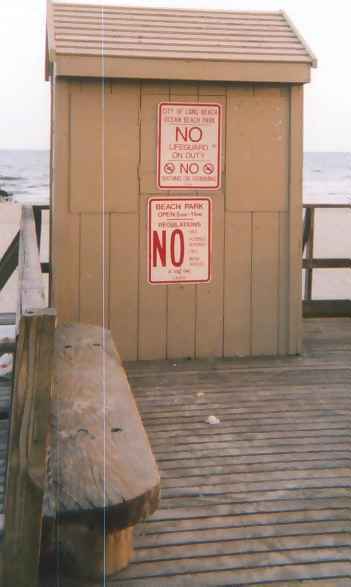 Well it may say no this or no that, but a sign never stopped most of us from having fun !! 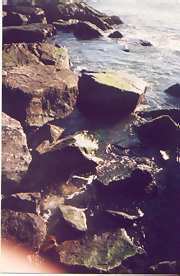 I wish I had a nickel for every starfish I pulled from between the rocks on the jetties as a kid !! 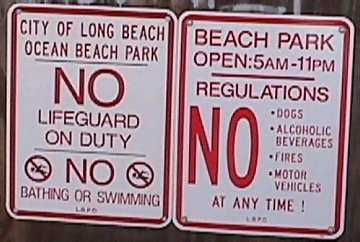 But oh how the lifeguards hated when you played on them! The caption pretty much says it! 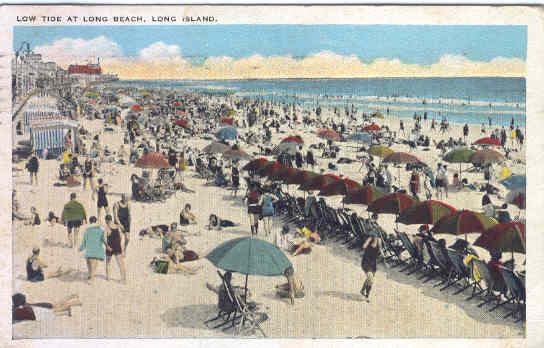 Not much room to find some blanket space on the beach on this day in 1923! 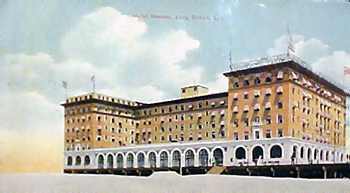 Another nice, old postacard view of the Hotel Nassau. Low tide at Long Beach.. looks just as crowded as the photo to the left ! !